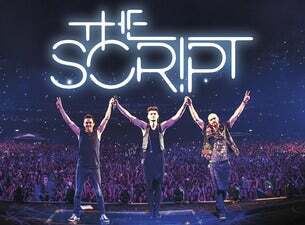 Since they were formed over a decade ago in 2001, The Script have become one of the most popular Irish bands of the 21st century. Fans everywhere love their unique soft rock and pop sound, coupled with clever, heartfelt lyrics. The band is made up of three members: Danny O'Donoghue, the lead singer and pianist, Mark Sheehan, vocalist and guitar player, and Glen Power, the band's drummer. O'Donoghue and Sheehan were childhood friends, growing up together in Dublin. After some success in the US and Canada as songwriters and producers, writing for performers such as Britney Spears, the pair came back to Ireland and met Powers. The trio were then signed in 2005. Three years later, the band released their debut self-titled album. Getting to No. 1 in the UK and Irish charts, five singles were released from that album and it became the 12th best-selling album of 2008. Their second album, Science & Faith, was released in 2010 and entered the charts at No. 1 in the UK and No.3 in America. The Script have announced their fifth album, Freedom Child, will be released on 1 September. It will be supported by a late summer tour that stops in seven UK cities.